Home Supplements Protein Powder: Does It Work? Are Certain Brands Better than Others? Every protein powder brand promises to deliver the “maximum” results, but what exactly does this mean? The maximum results for what? This statement assumes we all have the same fitness goal in mind, and more often than not, that is not the case. While some of us seek to build muscle, others are primarily focused on losing weight. Regardless of what each brand promises you and what you’ve heard about protein shakes, we’re here to set the record straight. We want to help you choose the protein powder that’s right for you and the results you are looking for. Protein powder is a go-to supplement, meal replacement, and diet enhancer for many fitness enthusiasts and health-conscious people. It is typically used to increase muscle mass, improve body composition, and to help meet the body’s protein needs. 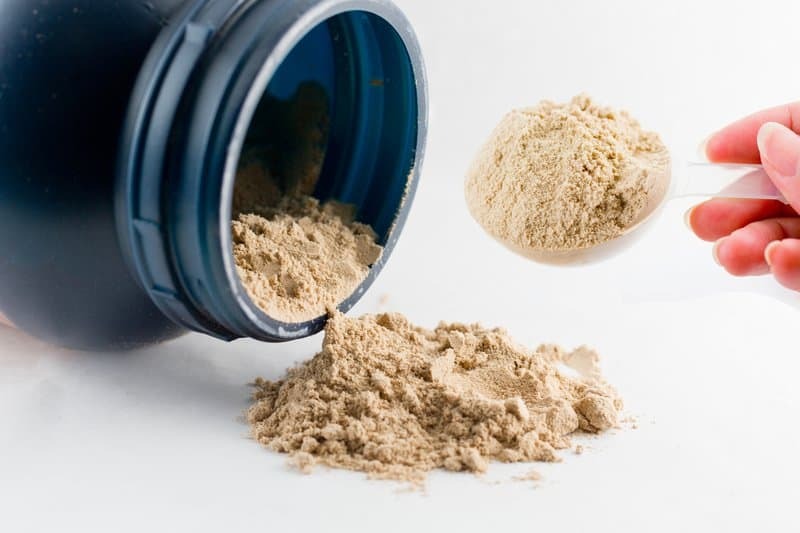 Protein powders come from a variety of sources that oftentimes differ in the formulation. Protein Concentrates: This type of protein is produced by extracting protein from whole food using heat and acid. Protein concentrates typically supply about 60-80% protein. The remaining protein is composed of fat and carbs. Protein Isolates: This protein is produced with additional filtering and processing, which allows for the removal of more fat and carbs. Protein isolates contain about 90–95% protein. Protein Hydrolysates: This protein is produced with additional heating in order to break the bonds between amino acids; your body and muscles absorb this type of protein the quickest. When choosing a protein powder, you need to take into account your dietary preferences, food allergies, and personal fitness goals. Whey is a source of protein naturally found in milk. During the processing into a powder form, the liquid milk is separated into solid curds known as casein and liquid whey. The liquid whey is pasteurized and dried out to create the powdery packaged substance we find at our local vitamin shop and grocery store. Whey amino acids form larger peptides and proteins that provide health benefits. The most beneficial for adults are the immunoglobins and lactoferrin proteins which can aid your immune system and also has anti-cancer and anti-aging effects. In terms of building muscle, whey protein also contains essential BCAAs (Branched Chain Amino Acids). The presence of BCAA Leucine in our body paired with resistance training immensely improves muscle protein synthesis. With about 3 grams of leucine per serving, whey protein can definitely improve your muscle gains at the gym. Whey protein is not 100% all protein. Because it’s a dairy source, whey protein naturally contains some fat and lactose. As with any dairy product, this can cause health issues and might not be the best protein powder choice for people who are lactose intolerant. The good news is that there are specific processing methods that focus on the isolation of the protein in whey from the fat, lactose, and carbs as much as possible. However, it’s important to note that some of these separation methods denature the proteins, losing the added health benefits for the sake of having more protein per gram and making the protein quicker to digest. Whether you consider having more protein or having added health benefits more important is your choice. The most common whey proteins found in stores are Whey Concentrate and Whey Isolate; and if your main goals are gains, these are some great options. If you are not lactose intolerant, you can choose a whey concentrate product which typically contains up to 80% protein, and the lactose in it can serve as a glucose source to energize your body to power your lift. For people that are lactose intolerant or are looking for mostly protein, whey isolate contains about 90% protein with limited denaturation and little-to-no lactose. Many people opt for a vegan protein powder because, well, they are actually vegan and follow a strict vegan (or vegetarian) diet. While others, who don’t follow a vegan diet, choose vegan protein powders because they are free from allergens, sensitive ingredients, and artificial sweeteners. Vegan protein powders are made of a range of plant-based ingredients. The most common sources of plant protein are soy, rice, pea, and hemp. 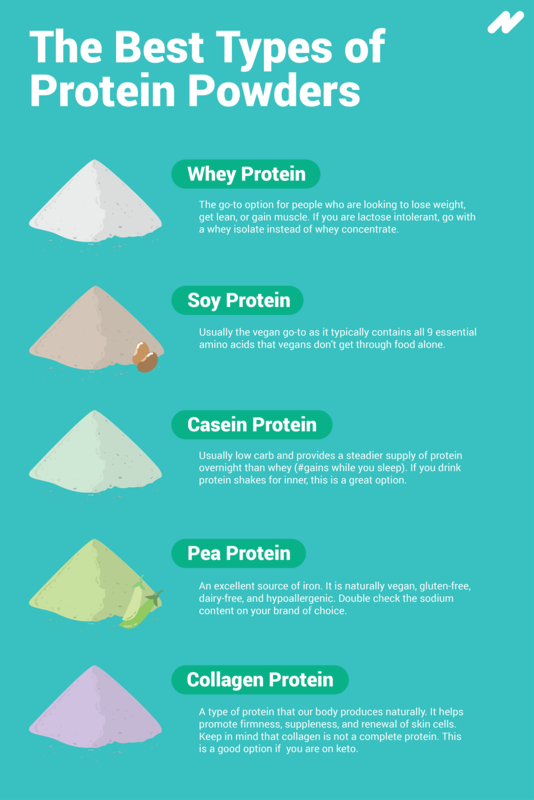 When looking for a vegan protein powder, try to find one that has several different plant protein sources. Vegan protein powder is an excellent option if you want to lose weight, build muscle, eat fewer animal products, or if you’re sensitive to whey protein. It’s suitable for everyone, not just vegans! For many years plant-based protein was frowned upon because it was considered to be a poor alternative to whey protein. The main argument being that plant-based protein powders don’t contain all the essential amino acids that whey protein does. Essential amino acids are nutrients that are mainly found in protein sources and that our body cannot make on its own. These are very important when it comes to building and maintaining lean muscle mass, and your body needs these amino acids to properly perform bodily functions. The Purebred brand is all about intaking foods that help you perform. This vegan-friendly blend was designed with clean, non-GMO ingredients that help build and repair your muscles. If you’re focused on recovery after an intense workout, then this is the protein powder for you. With only 117 calories and 23 complete grams of protein, Purebred’s macros beat out many of its competitors. Choose between french vanilla or a chocolate fudge brownie flavor! 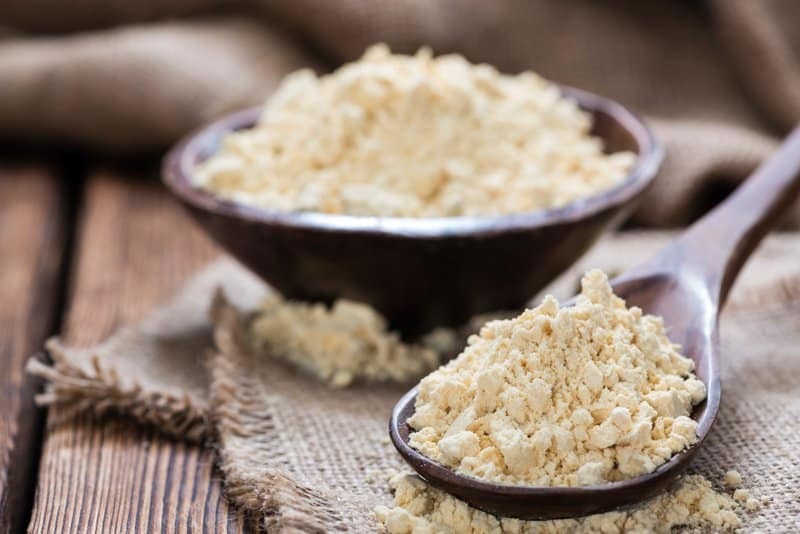 This vegan protein is a dream for those who are looking for lean muscle growth, digestive comfort, and maximum absorption from a protein powder! With a variety of plant-based protein sources and ingredients, this powder delivers a guaranteed 20 grams of protein per serving. The added probiotics and digestive enzymes will improve your gut health and deliver optimal results! If you’ve got a sweet tooth, then your tastebuds will love this organic plant-based protein powder. IdealRaw blends 7 proteins, a number of superfoods and organic cocoa powder to fuel your active, vegan lifestyle. This natural, organic, and healthy-for-you protein powder delivers 15 grams of protein and plenty of flavor! Pea protein powder is a supplement made by extracting protein from yellow peas. It is naturally vegan, gluten-free, dairy-free, hypoallergenic, and goes well with almost any smoothie combination. Pea protein is a great source of iron, and it contains all of the essential amino acids your body needs to function properly. Research has shown that pea protein is one of the more easily digested plant-based proteins — just behind soy protein and chickpeas. Pea protein works well with almost any diet because it is free of the top eight food allergens — peanuts, tree nuts, eggs, fish, shellfish, cow’s milk, wheat, and soy. However, if you are specifically allergic to pea itself, then you should avoid this kind of protein source. 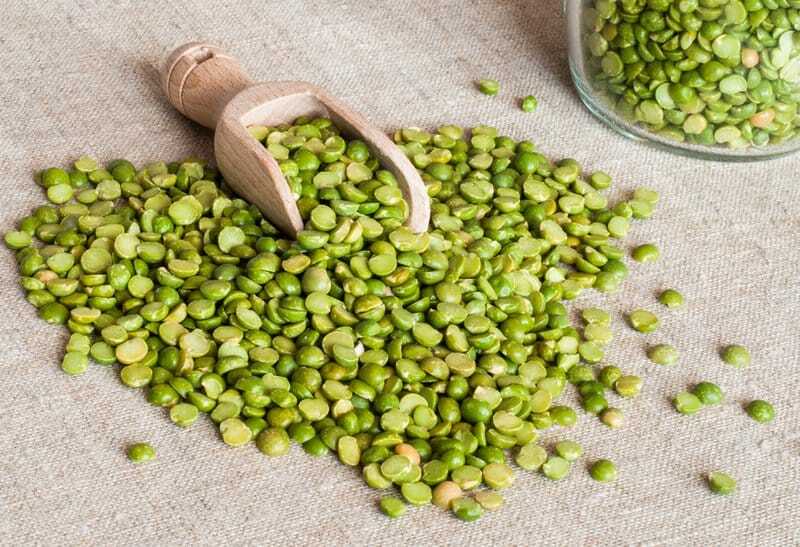 Pea protein can aid in muscle growth, boost feelings of fullness, and can improve your heart health. It is always recommended to look at the nutrition label of any pea protein powder, as some of them can be high in sodium. If you are on a sodium-restricted diet, then this might not be the best protein option for you. Naked Nutrition Naked Pea contains 100% premium pea protein. Naked Pea Protein Powder’s superior amino acid profile is the result of processing via mechanical water-extraction without the use of chemicals. This protein powder gives you more control over what goes into your body by stripping out additives. This pea protein has become popular for its gluten, dairy, soy and cholesterol-free nutritional profile. One serving delivers 16 grams of quickly-absorbed protein. This protein powder is perfect for the workout shakes you drink during your weight training sessions. Free of both soy and dairy, this natural Pea Protein Isolate delivers 21 grams of protein per serving. Although this protein powder was originally created with vegans in mind, it is suitable for anyone who enjoys sugar-free, natural products! Collagen is a type of protein that the body produces naturally. But we can also get it via supplements, such as collagen protein powders. It is typically made from the bones, skin, and cartilage of animals and fish. Collagen makes up about 30% of the proteins within the human body. It helps promote firmness, suppleness, and constant renewal of skin cells. Collagen is high in four specific amino acids — glycine, proline, hydroxyproline, and arginine. The combination of these amino acids makes collagen a powerful antioxidant. Collagen supplements can improve your joint health, complexion, and longevity. However, most collagen powders and supplements are not considered complete proteins. Complete proteins contain all nine essential amino acids that the body can’t make on its own. Collagen only contains 8 of the 9 essential amino acids, and they are not equally balanced; the ratio is skewed towards glycine, proline, and hydroxyproline. So if you’re drinking a protein powder after a hard workout for the sake of getting those #gains, then you might want to opt for a complete protein powder instead. A complete protein option will allow you to get all of the amino acids your body needs, in the right quantities, for optimal muscle building and recovery. That being said, collagen can be a great way to support connective tissue in the body and improve joint pain after an intense workout. It makes a great addition to your morning tea, coffee, or superfood fruit smoothie — but it is not recommended that you use it as your primary source of protein especially after a weight-training session at the gym. When you’re on keto, it can be hard to find a suitable protein powder that won’t kick you out of ketosis, as many brands have a fair amount of carbs, sugars, and additives. Since the typical keto-er only consumes between 25-50 grams of carbs a day, being mindful of what food items you chose to spend them on is vital. When choosing a keto protein supplement, you need to choose one that is made with the right base. Whey, casein, egg protein, beef protein, and collagen protein powders are all good protein powder options for people following the keto diet. 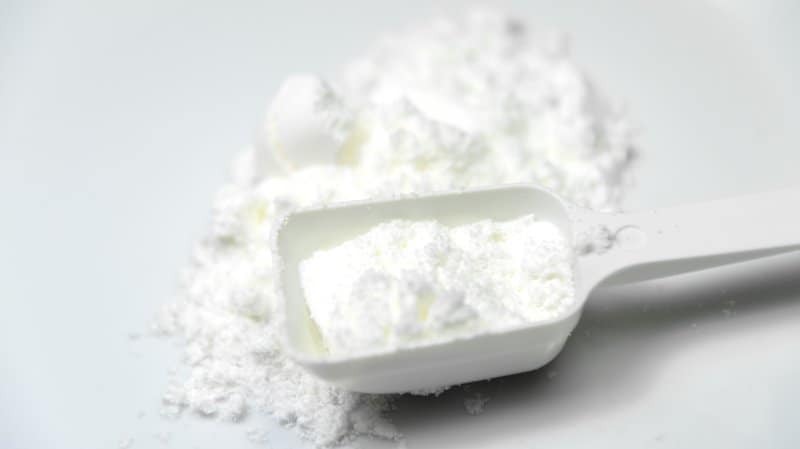 It is recommended that you stay away from protein supplements that use egg whites as a base since it lacks fat. Since you are only supposed to get 20% of your daily calories from protein on keto, you want to make sure that you are getting (or possibly adding) quality fat sources from your protein powders. But, the reality is that you probably don’t need to be supplementing protein into your diet if you are on keto, because you are probably already getting enough protein from direct food sources. You can rest easy knowing that this keto protein powder won’t kick you out of ketosis! This bone broth-fueled, high-fat powder supplement is filled with the nutrients you need to thrive on a keto diet. Each serving provides 15 grams of real whole food bone broth-powered protein and 11 grams of fats with only 3 grams of carbs and 170 calories! While this whey protein barely has fats, it also barely contains carbs and contains no lactose. Legion Whey is made from exceptionally high-quality milk from small dairy farms in Ireland, which produce some of the healthiest, cleanest dairy in the world. With only 3 grams of carbs, this protein powder makes an excellent muscle-building option that won’t kick you out of ketosis. Many people take a collagen supplement while on the keto diet. This collagen supplement can improve your hair, skin, nails, joints and ligaments, and tendon health. You can mix this stuff with almost anything; from coffee and smoothies to baked goods and cereals! Vital Proteins delivers 20 grams of collagen and 18 grams of protein. The objective of a low-carb diet is to restrict your body of its normal energy source (carbs) so that it learns to use body fat for energy. But, you don’t have to be on the keto diet to reap the benefits of low-carb protein powders. By avoiding empty carbs as you do on a low-carb diet, the closer you will be to your weight loss and personal health goals! Low-carb protein powders are made by putting cow’s milk through a series of filters that remove carbs and fats. The key is to choose a manufacturer or brand that emphasizes the quality of the protein after filtration. Many low-carb protein powders contain a higher percentage of whey protein isolate. Like other protein powder, low-carb protein supports muscle building and post-workout recovery, helps retain muscle strength as you age, and can help you lose weight. You can also opt for a casein low-carb protein powder, which holds an advantage over whey in that it provides a steadier supply of protein overnight (meaning you’ll make #gains even while you sleep). This high-quality protein source provides 25 grams per serving to support your muscles. This protein powder can be consumed post-workout, between meals, with a healthy breakfast, or any time of your choosing throughout the day! This is also a safe option for those who are looking for a gluten and lactose free protein powder. This low-carb protein powder delivers 24 Grams of slowly digested protein per serving that is best used between meals or before bed. Each serving also provides nearly 5 grams of naturally occurring BCAAs and is an excellent source of calcium (60% of daily value). 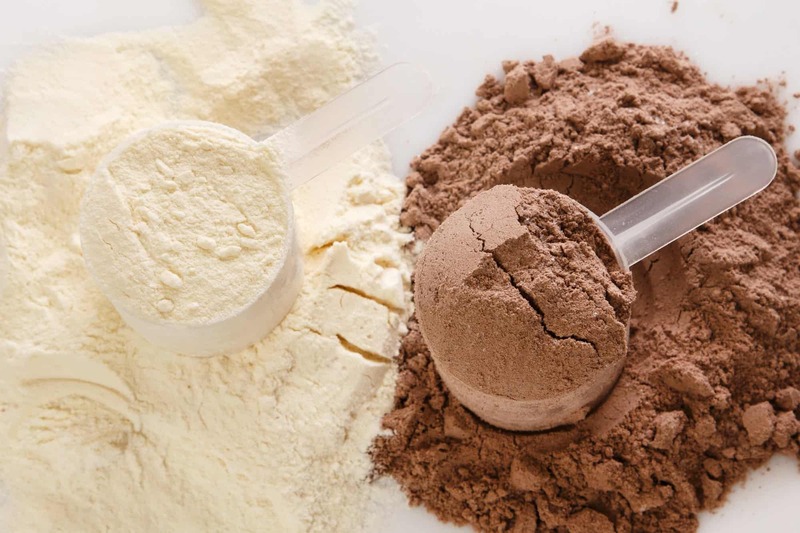 Protein powders typically stay fresh for an extended period of time, as long as you store them in at room temperature and seal them properly after every use. Most protein powders are made to last for about two years total. Be mindful of the expiration date on your protein powder packaging, as keeping it too long after the recommended expiration date means the powder loses its effectiveness. Soy, egg or milk-based powders tend to smell once they have gone bad. Another way to test if your protein powder has expired or is no longer good for use is to put a little bit on your finger and taste it; if it tastes like cardboard, it’s time to toss it out! You should always seal the powder’s bag or container securely and never keep it open for too long. The last thing you want is your powder being exposed to outside elements for a long period of time. Protein powder is especially sensitive to water. 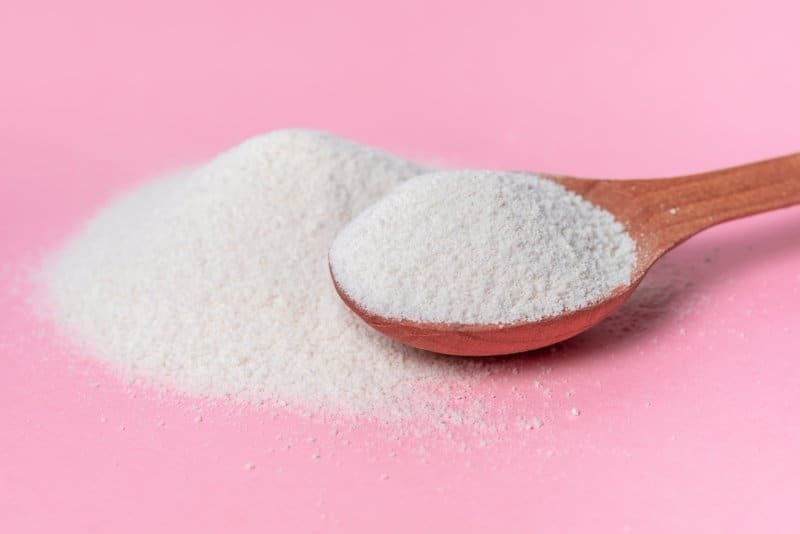 If your powder is exposed to water prior to its expiration date, it is recommended that you toss it out, as it’s likely that it will go bad within a few days.